Blog › Information › Unusual Wall Art – Before I Die? Whatever our age we have occasional reminders of our mortality. How many times have we said…oh, I would love to see, do or say that, but never get round to it? However, some people take action and methodically realise their dreams. Some people refer to this as a “bucket list”. A Bucket List is where you write down all of the things you want to do in your life before you die. The term comes from the slang idiom "to kick the bucket" meaning "to die". The 2008 movie, 'The Bucket List', starring Jack Nicholson and Morgan Freeman, was based on this subject and included such things to do as "laugh till I cry", "kiss the most beautiful girl in the world" and "help a complete stranger". In a similar way, American Artist Candy Chang, created an interactive wall, or wooden wall art, on an abandoned house in her neighbourhood to create an anonymous place to help restore perspective and share intimately with neighbours while remaining an introvert. 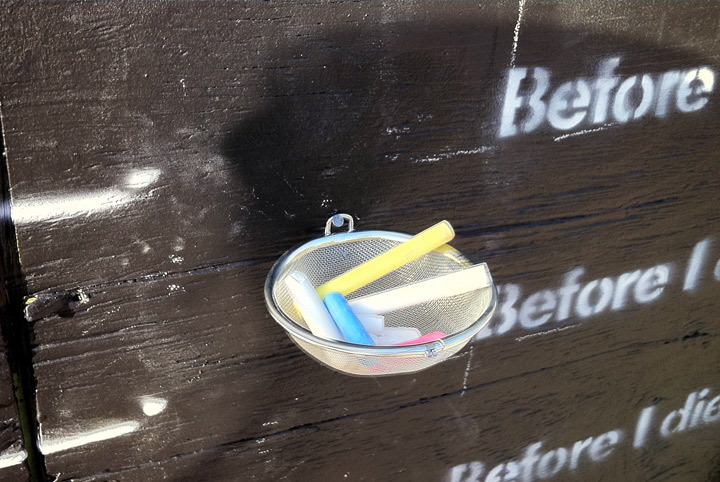 After receiving permission, she created this wooden wall art on the side of an abandoned house in her neighbourhood in New Orleans with chalkboard paint and stenciled it with a grid of the sentence, “Before I die I want to _______.” Anyone walking by could pick up a piece of chalk, reflect on their lives, and share their personal aspirations in public space. Before I die I want to The Story. Brilliant Wall Art has many pieces of unusual wall art. These can be traditional, abstract or contemporary in design, derived from a range of different natural or man made materials. 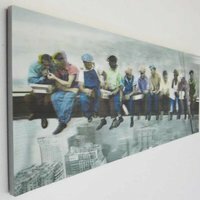 Metal wall art is a favourite, however glass, rope, canvas, resin and wooden wall art are also popular. Why not take a look at our wooden signs and plaques range, with a word and saying for everyone. This range incorporates many iconic images seen around the world, throughout generations.